Today I’m sharing a 7-x-5-inch mixed media canvas I put together recently using this month’s SMAK kit, Winter Wild. This little project got me in the mood for hot chocolate and that's saying a lot as it's pretty hot here on the west coast right now. First, I layered some distress paint on the canvas in the following colors: pumice stone, dusty concord, evergreen bough, pine needles, and scattered straw. 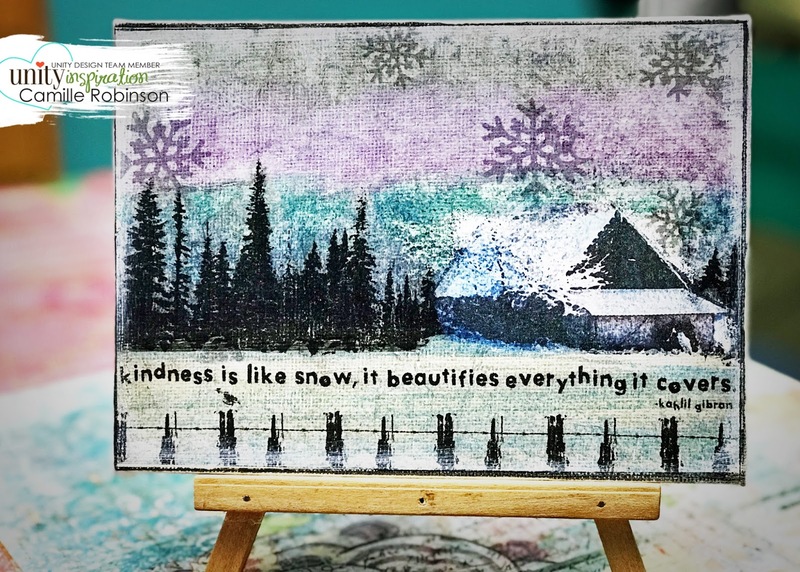 While I waited for the distress paints to dry on the canvas, I carefully stamped the SMAK images onto tissue paper using jet black and stone gray Stazon inks and I let that dry just for a bit. It’s pretty quick actually. I printed a picture of a housing structure onto tissue paper and used my heat tool to dry it before cutting it out and adhering it to the canvas with the other layers of stamped tissue paper. These images were adhered to the canvas with gel medium and a lightly wet paint brush. Then I edged the canvas with picket fence distress ink and used a ruler with a copic multiliner to add an inky-looking border. When I do mixed media canvases, I have an idea of how I want it to look in the end, but I am always so surprised at the outcome. When working mixed media, you may never know what you’re going to get. That’s the fun of it I think. I’m pretty happy with the way it turned out. 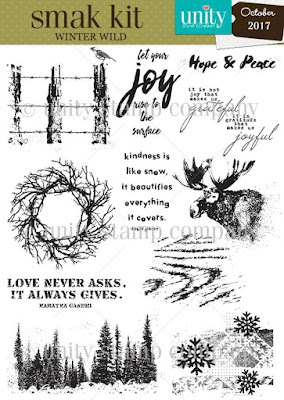 This month’s SMAK has everything you’d ever want to get crafting and creating with winter images and sentiments—LOOK! The SMAK kit is only $36.99 a month and you get a full 8.5-x-11-inch sheet of rubber every month. Thank you so much for stopping by and taking a look at this month’s SMAK. I hope you have a HAPPY Saturday!